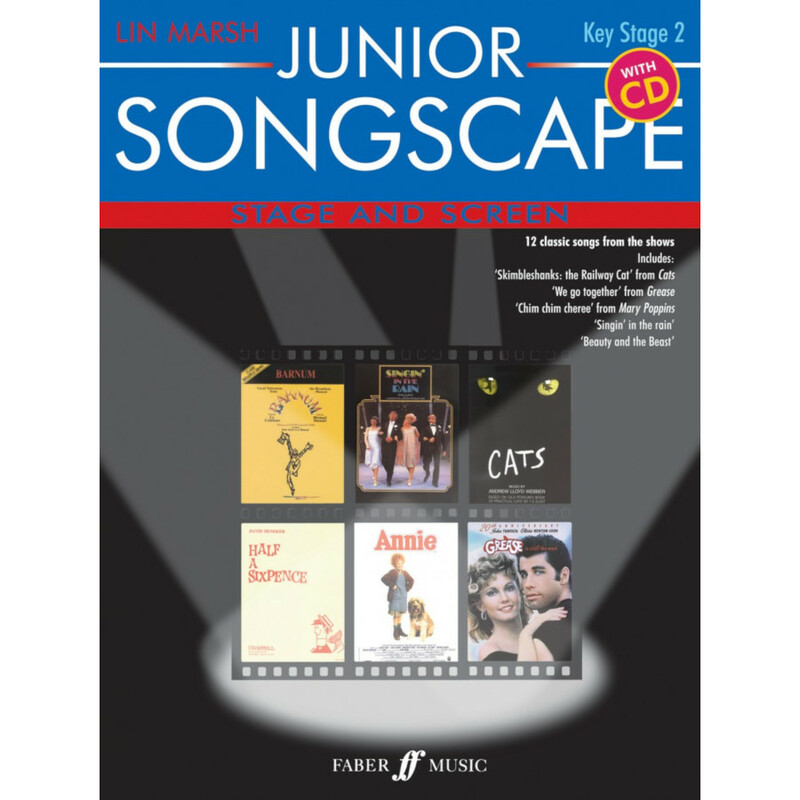 Junior Songscape: Stage And Screen is the perfect resource for upper primary school singing and is an invaluable collection of 12 classics songs both old and new from stage and screen! Featuring well-known classics alongside songs from shows written especially for children, this album includes contextual information for each song and suggestions for adding movement. Ideal for bringing confidence to the classroom as well as concert singing, with vocal ranges and lyrics carefully considerd for Key Stage 2, many of the songs have optional vocal parts providing scope for part-singing. Keyboard accompaniments are well within the grasp of pianists of moderate ability and the high-quality CD includes complete performances of all the songs, plus backing tracks ideal for rehearsals and performance.